Well, I stumbled across this old thread, which I actually enjoyed reading, and thought I would give it a try my self as a personal project. Most of the points mentioned in that thread, I have over came with relatively easy solutions. Such as the PKGBUILD problem, you'd encounter on FreeBSD. 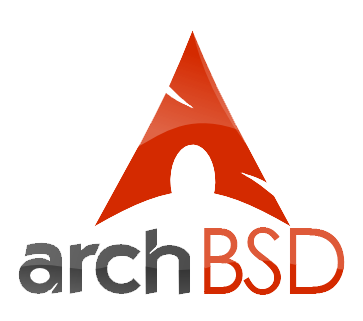 If like me, you enjoy FreeBSD and love it, but also like the philosophy behind Arch Linux, which is a fast, lightweight, optimized distro, I figured why not combine the both. Even tho you could just do it on FreeBSD using the ports, not everyone wants to compile. So, anyways, to overcome the PKGBUILD problem, I wrote my own makepkg, to make the packages using FreeBSDs make file. It does this in a simple way. Then it calls make to compile and install the port into the $workdir/pkg, then creates the .PKGINFO files and packages up. It's not as advance as the makepkg for Arch Linux, but it creates working packages. I have tests this by makign a package of the FreeBSD kernel. This works without a hitch, I've compiled a few test kernels, packaged them up and instaleld them using pacman, and the system booted fine. I have made a final test package with a generic kernel. So there you go, for the thread someone made about 7 years ago, I've made quite a bit of progress on it in just under a day. I just need to make my makepkg more efficient and generate mroe info for PKGINFO from the FreeBSD makefiles. -p to make a package of a port. Since it reads makefiles from the ports, and it's different to generate a package for each one, it seemed easier to use functions for each one and call it via a arguement. Somebody will care, if you start sharing the code on GitHub. Oh, I'm going to share the code, just I don't think it's ready yet, still a lot of bugs, and making the most minimal i686 FreeBSD core is proving hard. Having already made packages for the Kernel, coreutils, etc, it's getting there. I just thought it would be better to psot it here, since there was some discussion about it in a previous thread, and some people seemed interested. Well, For those whoa re interested, Here is the link to the git. The code is no where near finished for makepkg, while it's working partially, I still have a lot to do. It's completely made from scratch and is no way based on the makepkg used in Arch Linux. How ever, I am using the inittools from Arch Linux as well as the AIF, but I'll move to those when I finish makepkg. I don't think it was against the policy to use the logo, um, I think I'm meant to keep the TM next to the logo. Maybe someone could clarify. Forgive me for not reading through the code to figure this out on my own, but would Arch-BSD use clang/llvm over gcc? FreeBSD 9 hasn't yet. Although it looks like 10 might. I don't have an issue with clang much, and I've already built my FreeBSD base with clang, even tho it hasn't nearly been around as long as GCC, it's still fairly good and most code compiles. Code that doesn't compile in clang, and does compile in GCC, is mostly down to GCC which should reject certain code, but doesn't. That is rejected by clang, but not GCC. clang doesn't actually lose any performance over GCC when both compiled without optimisation, and clang was actually faster in some cases, while gcc probably would be superior in optimisation, but that can lead to a lot of problems optimising everything. A summary from almost all decent benchmarking on gcc vs clang shows that clang tends to compile faster but gcc creates more optimized binaries. Although... if you use gcc -O1 (which is basically equivalent of clang -O2 in terms of optimization), then the compile time difference becomes much less - almost negligible. That is not too surprising - clang/llvm have all the basic optimization passes applied, and more complex optimization requires much more compile time for relatively little gain. Yeah, I am looking forward to clang, it's fairly new, but has come along way in the past few years, I find having too much optimization can always cause little, to no gain, regardless of the compiler. Sometimes it can even case a slow down. Tho, considering the GCC that is shipped with FreeBSD is fairly outdated due to the them not liking GPLv3, clang has done a good job replacing it, and now entire world builds with clang. 10 aims to replace clang completely, but they have problems with some ports. Also, I'm sure GCC default standard is C89, while Clangs is C99. gcc 4.6.4 is currently what I'm using to build packages. Well, I made a test repo today, took awhile to create the core.db manually to see how it works, but I have the hang of it now. Going to create the script that will create it automatically. There was a few problems with my packages tho, but it's mostly due to the naming I have used in my script which I can easily fix. And fetching, and installation works well. The only problem at the is it causes database problems. I'm pretty sure this is due to it never appended the PORTREVISION number to the end of the name, but this will easily be fixed. I'm still fixing some problems making packages from the FreeBSD ports. Some problems are the naming string in the MakeFiles. They vary from PORTVERSION, PORTREVISION, PORTEPOCH etc. I've pretty much sorted this porblem out, and sometimes freebsd will names files with different symbols - , _ So I've set-up some checking for these files. Which is working pretty great. Bison is just an example as it uses , in it's naming. Now that it's able to detect all packages correctly regardless of what time of characters it includes. IT's successfully making working packages. Just a few more things I need to fix, such as some problems I have with making the .PKGINFO. I've just rewrote parts of my makepkg. Now making packages is twice as fast. What would take 6 hours for some packages, now only takes 3 hours. SPEED BABY! I added a new function that would save created packages to a database and skip it if it's already been built, this was because the makepkg would rebuild the same packages for multiple ports, and waste more time. So using this has sped up the process even further. I know speed is everything, first I got down looping through depends from 40 seconds down to 2 seconds, build a port is twice as fast, what would take 3 hours would take 1 and a half. And now it won't build packages that've already been built saving even moar time. I am looking forward testing this soon. I Stand Up For Christ! Do you? I'm not the best of coders my self, but learning new things as I go along. I made a bootable iso, that used a ramfs of FreeBSD and used grub, which is completely different to the traditional way. It made the boot time a lot faster. 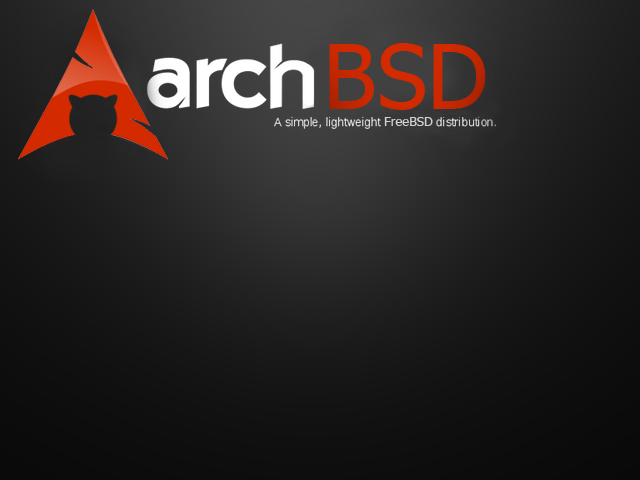 I have started to write some patches for the FreeBSD rc to enable a style config like Arch Linux, and colorized output. There is still some functions I also need to add into makepkg. Yeah, I'm almost finished with the makepkg, I have made a bootable iso, but none of the tools have been added onto it. I need to make the recursive package building from the FreeBSD port tree work a bit better. So far it will only recurse one level. Cd to the ports > Generate dependency list > Create packages of the Dependencies > then create package of the port. > Save the created package names to a database, to prevent rebuilding. Cd to the port we're making. Check depends list, then recursive through their depends to make the packages. Tho, I have just wrote the function to create the directory layout and files for the core.db. Hey, Amzo on the arch forums ! I didn't realize you where a member on here as well Beastie. You should boot up your BSD box and help me spread the building of some test packages. If this becomes a reality, I'm going to miss the options I get to choose from when I install something from ports. @shix, it's already the case with pkg_add. You get all the options.